During the OM I had a vision of the Earth Being raise up, bow her head and weep. It was so moving – I felt she was overcome wit emotion to realise how much love was being sent to her. I shall remember that day and all that happened forever. What a breathtakingly beautiful day – beyond all means of description. I can only express it by saying it was PERFECT. The OM nearly knocked me off my feet and I had to hold the chair in front. The programme was exquisite and I had tears in my eyes halfway through. The day has moved mountains of blockages across the planet. The purifying effect of the Om was overwhelming and everyone feels like I do. The OM filled the place with the most wonderful light energy, really lifted the roof, the Spirit, the Soul – a rainbow bubble of bliss. The gonging was for me, an explosion of enlightenment… a ripping open of the heart chakra, a mind blowing, soul blasting cosmic climax… held most of us motionless, speechless, in awe. I sat with tears rolling down my face, feeling the sound through every pore and sinew of my body… I became the sound.. rolled back through a kind of time tunnel, travelling through space and light, back and back, out into the universe on a note. It was a most exhilarating and exciting event with such a wealth of talent in dancers, singers and music and so much joyful spontaneous participation from the audience. A unique occasion – the wondrous wonder of the Wembley AUM. I am still gob smacked. What a beautiful day. The atmosphere was one of awe and magic. Wonderful and enlightening day, full of love, light, happiness and joy. I wanted to stay in that state of being for-ever and ever. During the OM, the tears flowed and I realized how lucky I was to be here right now. It was a privilege to be part of this vision. A day burned in with cosmic radiance, forever held in my heart. I was one of the lucky ones who had a brief trip to PARADISE at Wembley Arena on the 21st August…. so many warm, loving, like minded people in such a glorious event. Since the event, held so recently, I now observe that Ireland, Bosnia and Israel are talking PEACE. It was an amazing day. I have never attended an event like it before. I was staggered by how much I enjoyed it, what I gained from it and what realizations occurred to me and also the implication of the whole event and in particular the effect of the OM. It shall stay in our hearts forever. It was worth every minute of travelling 12,000 miles for this special occasion. Wembley – the Communion – the Unity of One. What a day! We had an incredible experience and we still are. The energies were warm and beautiful and it was a pleasure to be there. I made some wonderful connections. We heard the angels singing. It has been an honour to participate in an event such as this. What a joy and an energy we experienced on Earth Alignment Day. All those fine singers and musicians really blessed the day. A sacred space for all to share a most memorable day. The music uplifted my soul. On behalf of ten of us, a marvellous and memorable day. Many of us had tears in our eyes throughout the day. Mine came when the linking countries was read out. What a wonderful, inspiring occasion. A day of laughter and tears. It was wonderful to feel the bond with others. I know we are all given something different, yet of the same. I was shown the way home. An incredible day, I have not enjoyed a day so much, since I can’t remember when. A wonderful day. Superb, fantastic, magnificent, grand and glorious. The tears flowed and the love in that arena was amazing and something I would love to be wrapped in forever. 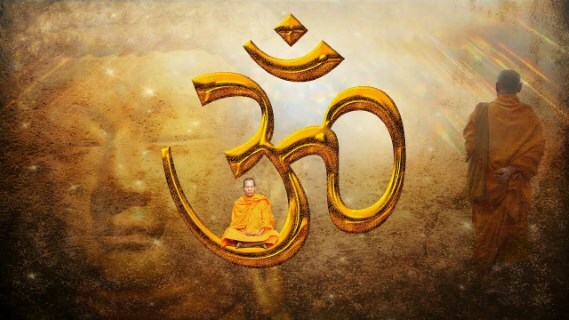 What can I say...but to have experienced the OM at its most Angelic Majesty. My heart centre never stopped expanding throughout this most beautiful day. The joy I felt singing and dancing to Om Namaha Shivaya was ecstatic bless… I felt the Spirit was inside and around us with great force. Thousands of people became aware of the love within themselves. My disabled mother and I were truly uplifted by the whole atmosphere and the very excellent programme. It had a profound effect on me. I experienced a ‘Spiritual State of Great Upliftment’. We had a fantastic day and felt the benefits physically, emotionally and spiritually building up through the day. We are still feeling great and will continue to do so. It has changed out lives in the way we feel and react and opened our hearts and souls. I enjoyed every moment of this wonderful day. The power that built up in the Arena was out of this world. It was such an important and uplifting experience, with so much love around. I FELT SO GOOD. The love, joy and vibration in the Arena was truly wonderful and I feel very uplifted. Lots of friends experienced a great deal of releasing and healings took place. The effect out front of all those lovely souls on stage was tremendous. The music was magical. I was very conscious of love flowing to and from the stage. Personally, I danced and clapped, sang and swayed with total inhibition which was very healing for me. A wonderful team on stage and a world, if not cosmic, cast. The experience, I am sure, will be with me, always. I am still flying high after the 16 minute OM. It was joyous to have the opportunity to help Mother Earth. The whole day really enforced the message of One-ness. I shall always remember the Rainbow Om. Words cannot express what joy and hope it gave me. I feel warm inside and closer to something… I don’t know what. A wonderful day bathed in positive energy. Angels and music.. what a perfect day. A marvellous day. It all went so incredibly smoothly. The Om was totally wonderful and raised the roof off!! The whole day was excellent. Wonderful to all be together. Just to record my heart felt joy. May the Angels of Peace fly through the heavens bringing peace and balance to Earth. May you continue to stretch the horizons and widen humanities understanding in all levels of Spirituality. Bless you for what you do and radiate. Rainbows and laughter. An experience of someone linking into Wembley Om from 12,000 mile away. ....I was amazed to find that I moved into a totally new and exciting dimension that transcended the physical, where barriers of distance did not exist. I became an integral part of YOUR celebration. I was in my seat at Wembley, embracing all the beautiful energy being created by the hearts and crystals of all those present. I felt myself being uplifted and rejuvenated, becoming aware of my purpose in my life. I do not have words to express the joy. Blessings to all who shared their love with me. David. Adelaide. Australia.